A COMMUNITY IN Cork has figured out it could raise more than €19,000 if it were to fine everyone who litters there on a daily basis. Located on a busy main road, the village of Glounthaune has a lot of passing traffic. This has led to litter problems on its streets. 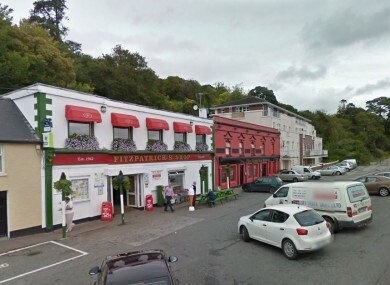 Speaking on C103′s Cork Today show yesterday, the village’s Tidy Towns vice-chairperson Conor O’Brien said that the group decided to take action and hire a professional to monitor how many cars pass through on a daily basis. Over the course of a week, three monitoring points were installed throughout the village. The results found that 11,500 vehicles pass through on average every day. “Analysing the litter, we would say there’s about 130 littering events every 24 hours. For every 100 cars that pass, one of them is going to litter,” O’Brien said. If a litter warden sees somebody littering, they are authorised to issue an on-the-spot fine of €150. Therefore, if a litter warden was to fine everyone who litters in the village on a daily basis, they would raise over €19,000 on average. O’Brien said that tissues, cans, plastic bottles, cigarette packets, chocolate wrappers and sandwich packs are found on the village’s streets every day. “We have been very careful in picking up the litter in the past number of years. Obviously it gets frustrating when you see the relentless nature every single day,” he said. O’Brien admitted that catching everyone in the act is unrealistic. “You will never get anywhere near as close to that,” he said. As a solution, O’Brien suggested that CCTV could be installed in the village to catch people who were depositing their litter onto the ground. Ultimately maybe you could do CCTV surveillance in litter control vans that could be moved to the litter hot spots from time to time – the same way speed control camera vans have helped. “Most cigarette smokers, when they just throw their cigarette ends out of the car… they don’t really think they’re littering,” he said. He said the Tidy Towns committee has been working with the local primary school for years and continues to run annual awareness competitions. During the competitions, the committee hangs a large sign up on road signs. “It’s really reinforcing to the kids in the schools [who] would be proud of their work and maybe the odd person passing by would think about litter. Signs alone aren’t going to change your behaviour. You need to have a bit of the stick of the fining as well. Email “This Cork village claims it could raise €19,000 per day if it fines everyone who litters”. Feedback on “This Cork village claims it could raise €19,000 per day if it fines everyone who litters”.